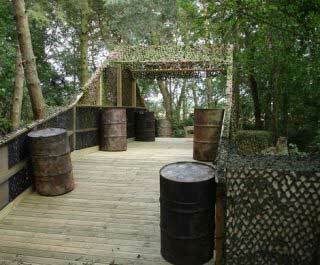 Ready for some intense paintballing action in Banbury? 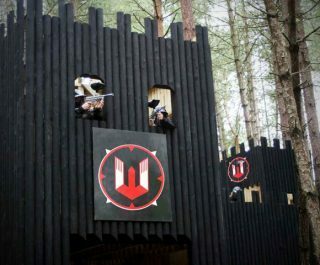 The Delta Force Banbury Paintball Centre in Buckinghamshire is ideally located just to the west of Milton Keynes (on the way to Banbury) and is set in peaceful, natural forest. Choose from five sprawling game zones all within short walking distance of the base camp – ensuring maximum playing time. 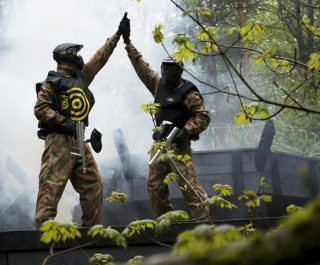 The centre is also equipped with a wide variety of impressive mission scenarios, including a stone bridge crossing with border patrol huts, a 40 tonne tank and a 3-storey fortress with a fortified sniper tower. Visitors can also make use of the WWII anti-aircraft cannon in the base camp to take some epic group photo opportunities. We employ local staff who have good knowledge of the area – perfect for when you need quick and informative advice in the heat of battle. 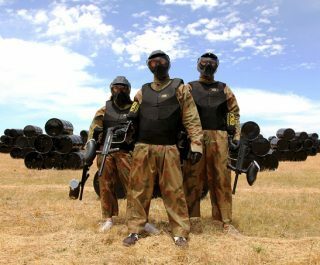 Please note – for anyone wishing to play paintball in Oxford, Bedford, Northampton, this paintballing centre in Banbury near Milton Keynes will be your most convenient choice. 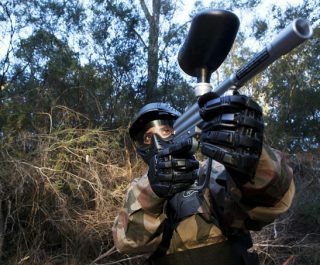 Book the Milton Keynes Paintball Centre now by visiting the paintball booking page or call our events team 24 hours a day, 7 days a week on 0203 869 9301.